Duur Aanen is fascinated by the question how termites manage to achieve these long-term high food yields. "Looking at a colony of termites you can see hundreds of thousands of workers that are extremely busy maintaining their own fungus gardens. As a group, their productivity is unprecedented. However, when we imitate this monoculture in the lab, the yield drops considerably after several generations. We think this is caused by unconscious selection of unwanted properties. So the question is: what do the termites do differently to ensure that their success continues for decades? It's clear they make the right selection, but we don't know how they do this." The answer to the question requires far-reaching evolutionary knowledge, which Aanen hopes to obtain over the next five years with the research group he is assembling using the €1.5 million Vici grant. "The symbiosis between the termites and their fungi shows similarities to agriculture as we know it. 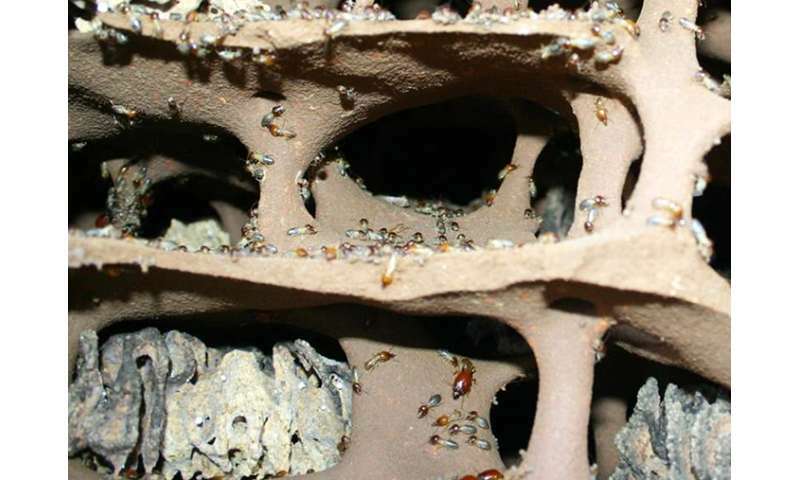 Termites cultivate their fungi in large-scale monocultures similar to how modern farmers cultivate their crops. The termites have become fully dependent on their cultivated fungi, like humans have become dependent on their cultivated crops. And not only that: the cultivated fungi have also become fully dependent on the termites for their survival, like our crops have become fully dependent on farmers for their survival. So we never find these fungi outside a termite colony." Although, as a biologist, Aanen is mainly attracted to the fundamental character of the research, he believes that the resulting knowledge will also find its way into practice. He mentions two interesting applications. "Firstly, fungi are increasingly being used by industry; in the production of enzymes, for example. And of course, there are also cultivated edible mushrooms, the fruiting bodies of fungi. For both applications we sometimes see a strong reduction in productivity, which is probably due to unconscious selection. For companies it is very interesting to see how one could maintain high productivity, as achieved by termites." A second link to practice is that this research will contribute to the knowledge needed to cultivate the termite fungi by humans. 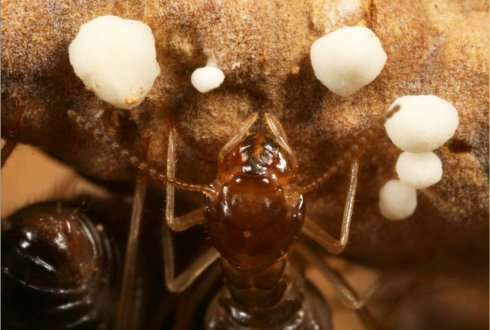 "Once a year, the fungi develop mushrooms from the termite colonies, and these mushrooms are being collected and traded as a popular and highly nutritious food source in Africa and Asia. Scientists have yet to successfully cultivate these mushrooms in the laboratory. Once we know the conditions for mushroom formation, we may be able to do the same. And that would be highly interesting, as these mushrooms are a very tasty food source that is rich in protein."